But in most cases, the price tag of this idyllic day blows their budget six ways from Sunday and they’re forced to cut corners. Sorry, Vera Wang. The cost of this dream wedding is well beyond what most couples starting out can afford. And don’t forget the sneaky costs that pop up after-the-fact like a bad hangover. Final liquor consumption costs, last-minute additions like screens with projectors, parking charges, vendor gratuities and additional overtime not calculated into the original budget, including limos, DJ’s and photographers. Are you hyperventilating? Relax; there is no need to panic. 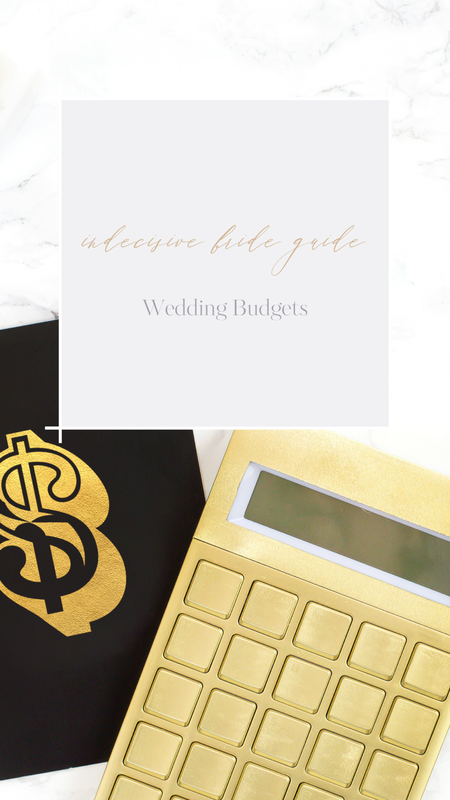 Today there are plenty of budget resources for brides! And ideally, you could hire a professional planner to maximize your wedding funds and consult you on the heavy decisions. Let’s make a list. I’m no finance guru, but breaking your costs into categories and percentages will help you forecast your total wedding investment. A quick assessment like this provides you with a realistic budget, ensuring your marriage begins without a mega-debt. Keep in mind that a planner can actually save you money in the end by managing the overall budget, staying ahead of hidden costs and finding the best deals. Happy planning!